Okay, truth be told I’ve fired up my grill a handful of times already this year, but I’m pretty sure this is the first time I was able to grill without a hat, scarf and mittens on! The request was for something tasty. Dave had been traveling to locales with very limited options, and he just wanted something with flavor. My mind immediately honed in on a fresh dish with spicy notes. 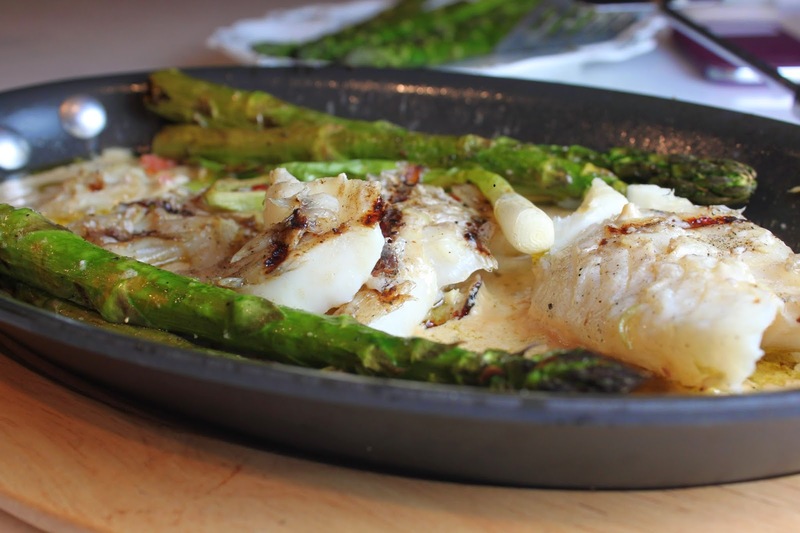 Fresh grilled fish and asparagus in a pool of spicy, garlic and gingery coconut milk with a huge squeeze of lime to keep it all bright! The ensuing recipe delivered in taste and met my health nod. Slice the jalapeño and place in a shallow dish, keeping the seeds for extra spice. Chop the garlic and ginger and add to the dish along with the olive oil, honey and fish sauce. Finely chop about an inch of the lemon grass and add to the dish. Bruise the remaining stalk and add to the dish. Now add in the fish, toss well and let marinate for about 20 minutes or so. Drizzle a little oil on the asparagus and green onions along with a pinch of salt and pepper, and toss. Fire up the grill and set at medium heat. Gill the asparagus and onion until crisp tender (or to desired doneness) and remove. Grill the fish just a few minutes per side until opaque and flaky. Meanwhile, turn up the second side of the grill to high. Place a fry pan (grill pan) with the remaining marinade in it and cook until sizzling. Carefully pour in the coconut milk, and shake to distribute and cook to sizzling again. The sauce should thicken slightly and begin to almost brown on the edges. 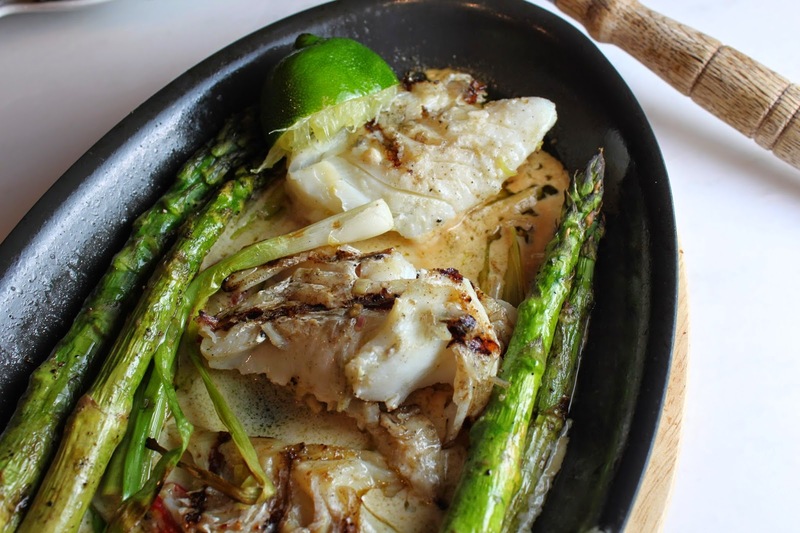 Remove the sauce from the grill, add in the grilled fish and asparagus, and squeeze the full lime over the whole thing and dig in! Fat and Happy Food Blog Tips and Techniques: If you are lacking a grill, you could certainly find success with this recipe on the stovetop.